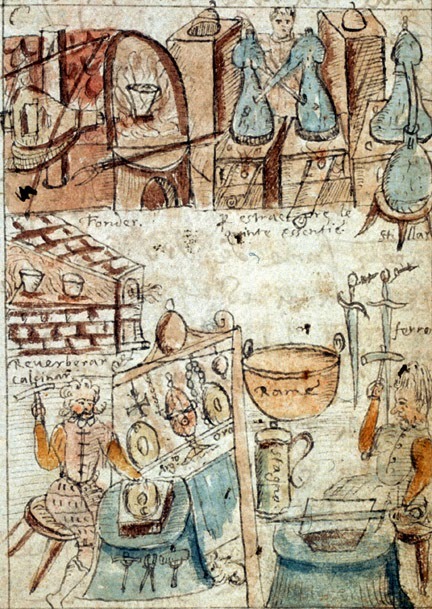 First, the manuscript illustration (fig. 1): At center left, we see a special furnace construction which the label tells us is for "reverberation and calcination." Two crucibles sit inside, exposed to the heat. These are both procedures with which Neri was quite familiar. 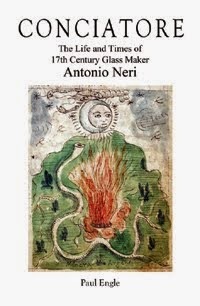 In the recipes of his glassmaking book, L'Arte Vetraria,  he speaks numerous times about what was called "calcination"—the conversion of a metal into what is usually a powdered oxide form. 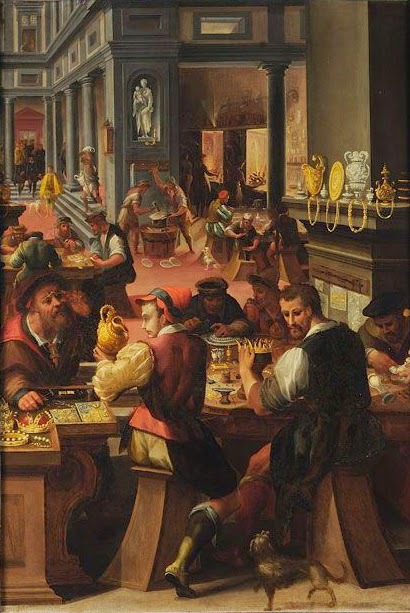 This was a fundamental operation in producing the pigments for glass. "Reverberation" was exposing a material to secondary heat reflected from the inner walls of the furnace chamber; it was a more even heat than that produced by a direct flame.